Like most cultural activities, Japanese Calligraphy or Shodo is an art form that has been developed over hundreds of years. 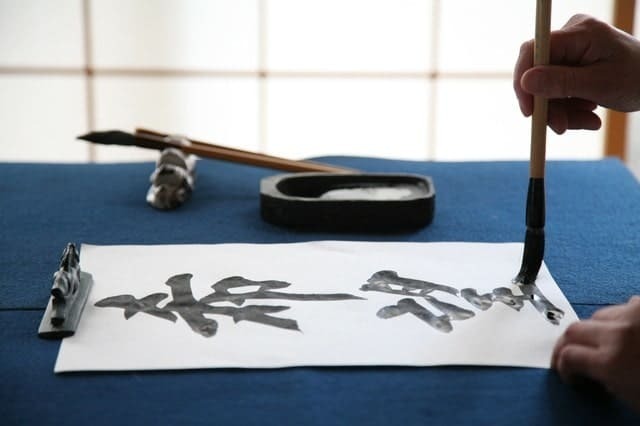 Shodo directly translates to "the way of writing" and is the traditional way of writing characters using an ink dipped brush. The Japanese alphabet, or kanji, is made of Chinese characters when travellers shared Chinese writing. Historians believe this was linked to the spread of Buddhism to Japan. After Japan developed their own characters, called hiragana, Shodo developed into its own art form as pieces of poetry, philosophy and other abstract concepts became more fashionable to paint and display.